Carol Drinkwater is a former actress and now best-selling author for both children and adults. She has written many My Story titles for Scholastic and is the author of the highly successful Olive Farm series. Carol lives in the south of France. 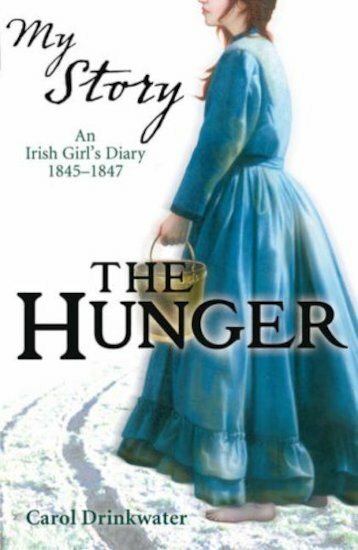 I think this is a great book because, it gives us a real insite in to how it was in the Irish potato famine. I got so in to the book that I read it in one day!!! I loved this book, especially because it’s about an Irish girl. It was the first My Story book I ever read and it brought me to so many amazing books so thank you Carol Drinkwater!! This Book is absolutely FAB!! Phylly is an amazing character and I’d recommend this read to anyone!!!!! !